Transportation Services are offered as part of an order and is supplied to us by a number of key caravan transporter companies across the country (from Hull to Devon). Our working relationship with these companies means that the service provided is quick, reliable and efficient. Prices range from £260-£2500 and will depend on distance and logistics. Our colleagues in the transport industry will if necessary, undertake an access check for you. 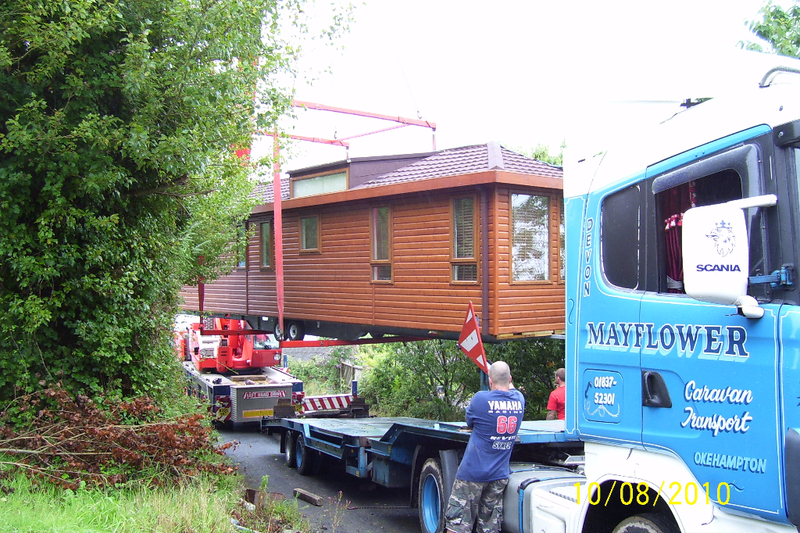 It is important that this is completed before the caravan holiday home or lodge is outside the entrance to your land! Most holiday parks choose to site & connect caravan holiday homes and lodges (twin units) coming onto their park themselves, however Surf Bay Leisure can provide this service if required. Due to the nature of our business, we have plenty of experience in this field and are happy to provide you with a quote. Using Surf Bay Leisure's siting teams means you will have the help you need at hand...locally! Inform the park owners (where applicable) of the dates and times the siting will take place. Ensure that your holiday home is securely packed inside so that damage is prevented during the moving process. Check that the tow bar and wheels of your holiday home are in good working order to allow the transportation process to run smoothly. Ensure your caravan holiday home or lodge is sited on your holiday park pitch or exactly where you need it on your private land. Connection to services are not provided as standard and are usually arranged through your park or by an independent party. Call us now on 01837 680100 for a free quotation.